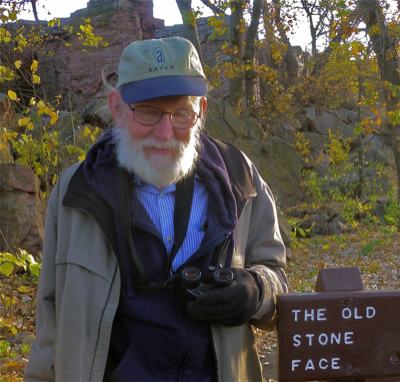 • All MBWeekends participants are expected/required to be members of the Minnesota Ornithologists’ Union ($25 individual / $35 family); for M.O.U. membership information, see http://moumn.org/join.html . on the date and time your e-mail was sent. Please note that some MBWs can become filled months in advance; some on the opening day of registrations. leader MBWeekends is 15 participants; the maximum for most MBWeeks is 7 participants. • MBWeek fees generally include transportation expenses (by rented vehicles), the leader’s fee and expenses, entry fees/permits, lodging during the MBW, etc. Air fares (or other travel expenses to/from the base city) and meals are not included. • Full payment for MBWeeks is generally due 3 weeks before the MBW. Please note that the cost of a MBWeek depends on the number of participants. Those who cancel out of a MBWeek for which they were confirmed may still be obligated to cover certain expenses: e.g., if non- refundable payments had been made on their behalf, or if cancellations result in higher per- person costs for shared trip expenses. • A MBWeekend’s meeting time and place, lodging options, the participants list, car-pooling information, etc, are sent by e-mail to those registered, usually about one month before the MBW. Unless stated otherwise, MBWeekends normally begin at dawn on Saturday, end early afternoon on Sunday (or on Monday for 3-day MBWs), and, unless stated otherwise, are based in the same city Friday and Saturday nights. • Transportation, meals, and lodging are not included in the MBWeekend fees. Participants can make arrangements to car pool to the base city or to share lodging – a participants list and lodging options in the base city are included with the e-mailed information about the MBW. 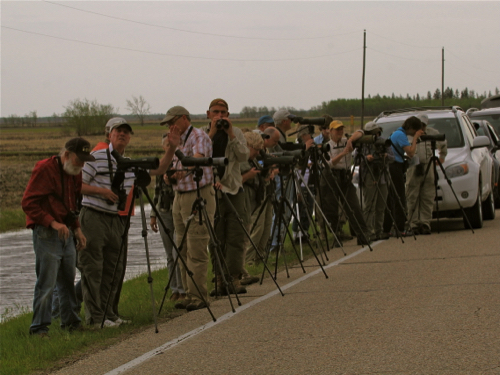 Birding during MBWeekends is by car-pooled caravans and normally limited to four vehicles. Participants will be able to bring their own food along for meals or to eat at restaurants. • A pre-MBWeekend (or post-MBW) may either be taken alone or jointly with its associated MBWeekend on the following (or previous) days. • Before registering for any MBW, see the MBWeekends or MBWeeks page for its status to see if there are openings. Note: Registering for a MBWeekend or MBWeek after it is filled should still be considered since cancellations sometimes occur, or an additional leader or extra MBW might be possible to accommodate those on the waiting list. All those who register for a Minnesota Birding Weekend / Week (MBW) recognize that there is a small risk associated with MBWs, certify that they are capable of participating in them, and assume full responsibility in the event of personal injury, loss, or damage to personal property during a MBW. In consideration of having their registrations confirmed for a MBW, all those attending will hold Minnesota Birding Weekends / Weeks and its leaders harmless for any injury, loss, or damage involving any of the participants during the MBW. Further, those volunteering to drive a vehicle during a MBW recognize and agree that they are covered by their personal automobile insurance. • ALL MBW REGISTRATIONS ARE BY E-MAIL. pre-MBW can be included in the same e-mail). FOR ONE PERSON (plus any others at the same residence). UNTIL THE MBW INFORMATION IS SENT TO THOSE CONFIRMED. FOR MORE INFORMATION ON THIS OPTION. Please note as well that these procedures have become necessary to better manage the large number of MBW registrations, especially during the first few days when registrations are open for the new season. • Only one MBWeekend or MBWeek registration can be e-mailed per day. someone is found to replace the one who cancels. Saturday-Sunday MBWs are $50, three-day MBWs are $75. MBWeek is then due about 3 weeks in advance.